Empire fans can expect to see a lot more of Shyne Johnson in Season 3, as rapper-turned-actor Xzibit will be a series regular. 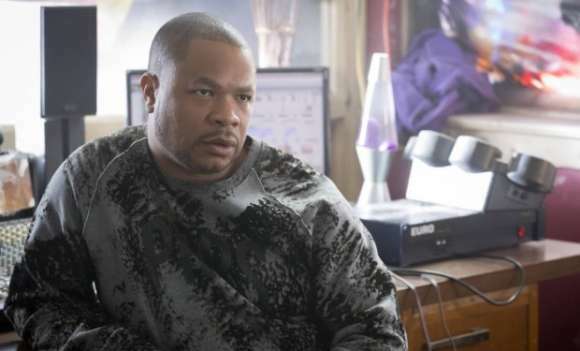 Fans were introduced to Xzibit’s character, Shyne Johnson, in the back half of Season 2. There are many famous people and artists that have appeared on Empire, so at first we thought that Xzibit’s role would be a brief one. However it’s now been reported that Xzibit will be a series regular in Season 3. Shyne Johnson ain’t going anywhere baby! (Unless Lucious kills him.) Shyne came into the play in the Season 2 finale, when Lucious admits to Cookie that he did a job for gangsters Tommy and Rosie while she was in prison. The only other person who knows about the hit is Shyne, whom Lucious screwed over. With Tariq and the Feds sniffing around, Lucious and Cookie know that they need to cover their bases and get Shyne on their side. This entails giving him an invite to Hakeem’s wedding, but Shyne shows up to the wedding drunk and causes a scene. Now Shyne didn’t strike us as the brightest crayon in the box, but more of Shyne’s identity is set to be revealed in Empire Season 3. My husband has a 1973 El Camino and it’s a gem but it’s a hard ship trying to restore it he’s put soooo much money into it. He got a new motor but the interior along with other heaps of stuff needs to be done he’s such a hard working dad and he soooo deserves this I feel so bad seeing him pout n sweat trying to restore it.. Please contact me pleaseeeee please!